We invite applications from prospective Ph.D. students to our Graduate program in Materials Science, at the University of Vermont in Burlington, Vermont. The Department of Physics, is one of the participating departments, and the graduate students will be based there and initially supported by graduate teaching fellowships. We have a rapidly expanding theoretical and computational condensed matter physics group at UVM, and we especially encourage graduate applications from students interested in these areas. We are seeking energetic students with an interest and background in theoretical condensed matter. In particular, those who have completed undergraduate course work in theoretical physics with knowledge of the basic methods of solid state physics are keenly encouraged to apply. Our research group at UVM is highly collaborative and is composed of a dynamic and diverse group of theorists. We look forward to working with those students who have decided to pursue research in the exciting field of condensed matter theory. We anticipate several openings for both the Winter and Fall semesters. For those applicants interested in a January start date, we strongly encourage submission of an application (details below) by October. Applications will be considered until the positions are filled. We encourage students to explore the Condensed Matter Theory Group webpage. A general description of the Materials Science Program at UVM can found here. A TOEFL score of greater than 100 is required to quality for a graduate teaching fellowship. Due to the limited number of fellowships available, we strongly encourage that you fulfill these requirements promptly. Applicants interested in a January start date should submit a completed application by October. 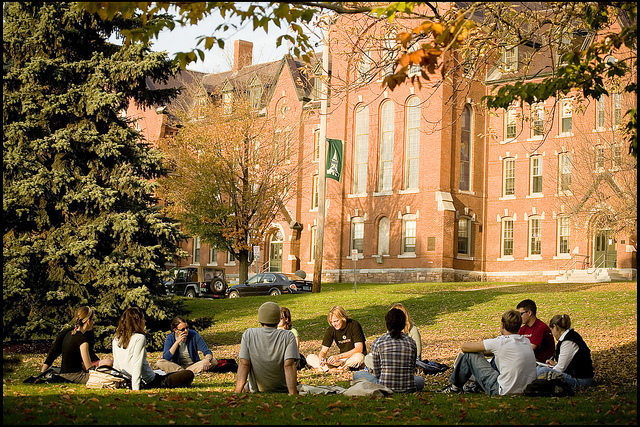 A formal application for graduate study at the University of Vermont can be completed online. In addition to a formal application to the Graduate School we advise students to prepare a brief (less than one page) statement of research experience and interests and a recent CV as a single PDF file and send to: cmt@uvm.edu. This will ensure all applications receive the strongest attention by the Condensed Matter Theory Group. We have many exciting projects suitable for undergraduates, including those wishing to complete their Honors College Thesis. Please come meet with us in person in the Cook Physical Sciences building to learn more.